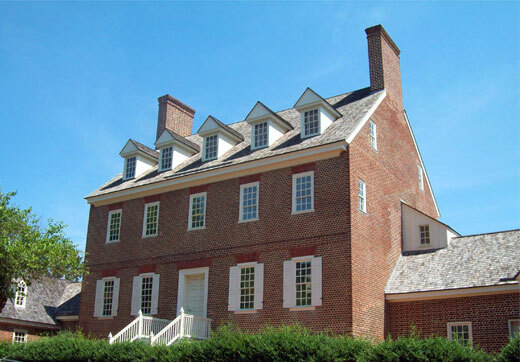 The William Paca House is the former home of William Paca, one of Maryland’s four Signers of the Declaration of Independence and the state’s third Governor. The five-part estate was built in 1760, and was carefully restored by Historic Annapolis beginning in 1965. The home is now considered one of the finest 18th-century homes in the country and is a National Historic Landmark. Highlights of the home include the two-acre colonial William Paca Garden, which features native and exotic plants, and a latticework bridge that walks over a fish-shaped pond.